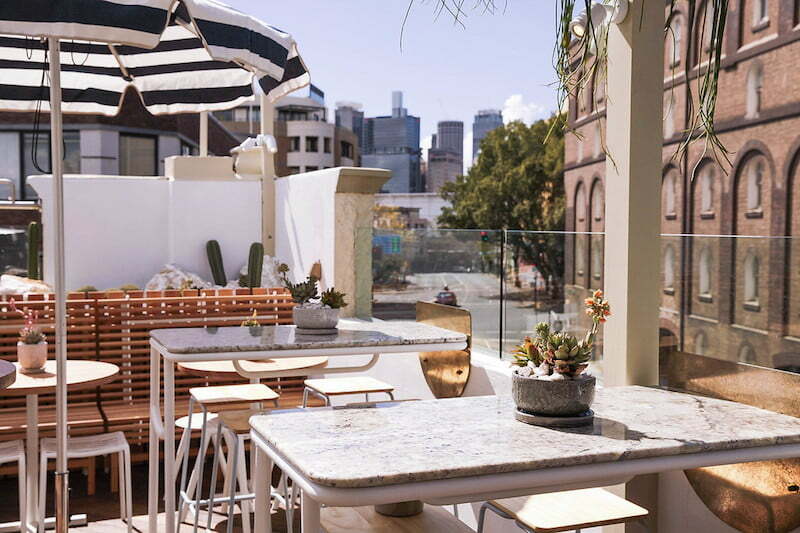 Sydney’s newest outdoor oasis, The Rooftop, is situated at the top of the Quarryman’s hotel in Pyrmont. 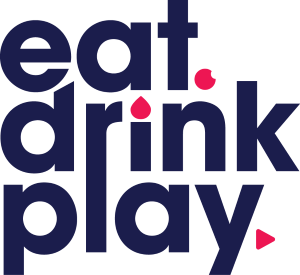 The vibe is very different from the craft beer institution below; think Palm Springs, pool-side lounge with lots of pastels and numerous cacti filling the trendy space. 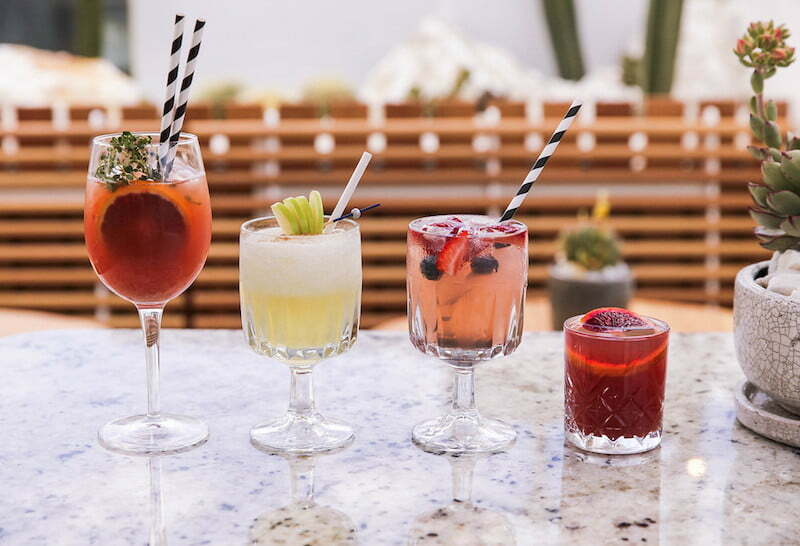 The Californian summer is centre stage upstairs at The Rooftop with a signature cocktail menu to transport you away from the Sydney skyline. Try one of the three Spritz’ on offer ($14), including the Kombucha Spritz with Finlandia Grapefruit Vodka, Kombucha lemon myrtle and blood orange juice. Or have a go at the Palma Rosa ($18) with El Jimador Blanco, Rosé, Ruby Grapefruit Juice and Ginger Syrup. There are many craft beers available and an Australian wine list. Another nod to America comes from the food at The Rooftop. You can still expect pub classics including schnitzels ($19), burgers ($18), parmas ($20) and steaks ($26-$30). 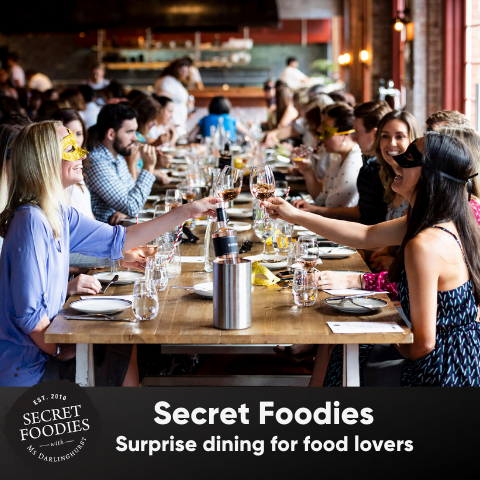 However, more modern “Californian” style food heats up the menu. 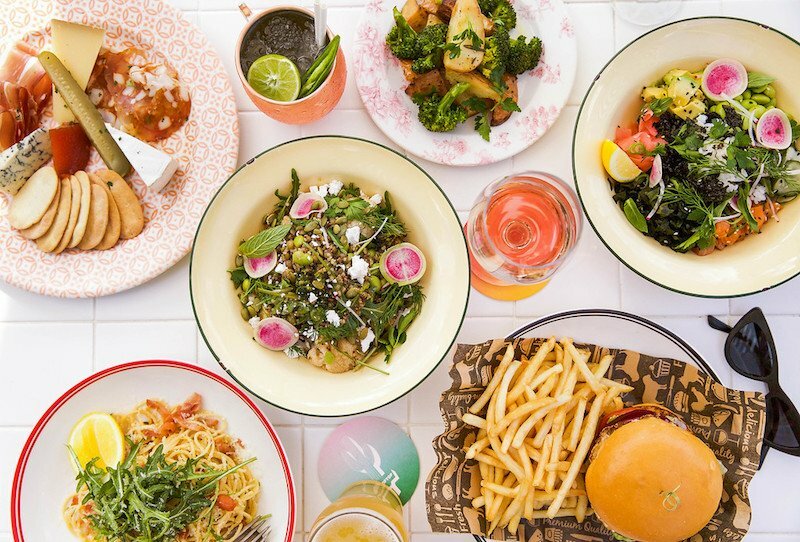 Salmon poke salad with ginger and mentsuyu sauce ($23), chicken tacos with salsa fresca and chilli mayo ($15) and Old Bay fries ($8) are a few of the standout contenders. Designer Matt Woods, who has created other aesthetically pleasing Sydney spots like Bloodwood and Devon has brought his A-game with this eye-catching rooftop venue. Modern yet chic, the venues light filled indoor and outdoor space provides a relaxed, resort style vibe. The Rooftop has a very cool aura and it seems like the place to be this summer. If you’re after a venue that has indoor and outdoor options, sun on your shoulders and romantic nooks, this is the place to be. With DJs regularly spinning and the city skyline behind you, you’re guaranteed to have a great time. Once you have checked out this bar, why not have a look at our guide to Sydney’s Best Rooftop Bars.